I’m really excited to continue sharing more of the Life Map concept and it’s lingo with you! The idea behind the Life Map is to really help you understand your journey up until now, to own your story and discover how certain people, events and experiences have helped shape who you are. It will also clear any roadblocks that are currently in your way so you can start achieving those goals you set out for yourself. There’s specific language that will give you a deeper look into who you really are and the different experiences you’ve had in your life. For example, you’ll be able to recognize when you’ve shifted gears, or when you hit a fork in the road. You will know exactly what’s in your roadside assistance kit, and be able to pinpoint the navigators in your life. Having all this insight from your past will help guide you forward into a life filled with more meaning, purpose and fulfillment. Today I want to talk about how to refill your tank! Just like how your car needs to be filled with gas – so do you! We’ve all had times when we’ve felt low. Maybe it has to do with a relationship, a job or just an overall feeling of not being fulfilled. When you’re in that place it can be really challenging to pull yourself out of it. What really helps is being aware of what it takes to fill you back up. It’s rare we think about this in times of feeling low but it’s a good practice to start getting into so we can pull ourselves out of it faster! Check out this weeks video to help you discover how you can start refilling your tank today! 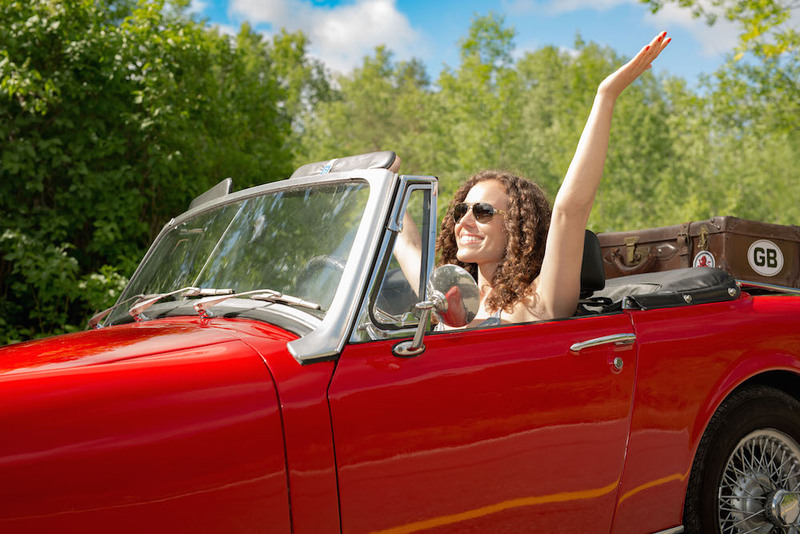 Refilling your tank is all about taking time to think about what brings you joy, but even more importantly, taking action to implement more of that joy into your life. What helps is reflecting back on other times when you felt low and asking yourself how you bounced back. It’s all about how we choose to see a situation and It’s vital we continuously tap into those things that truly make us happy and fill us up. Start by writing down 5 things that make you happy. Now choose one of those things you can do right now! If you enjoyed this video make sure to also check out Who are Your Navigators? It’s time to start taking control of your life! Are you ready? I’ve got some exciting 1:1 programs that will help you reach your true potential, set goals and get unstuck! If you want to start making some serious changes in your life I invite you to check them out here!